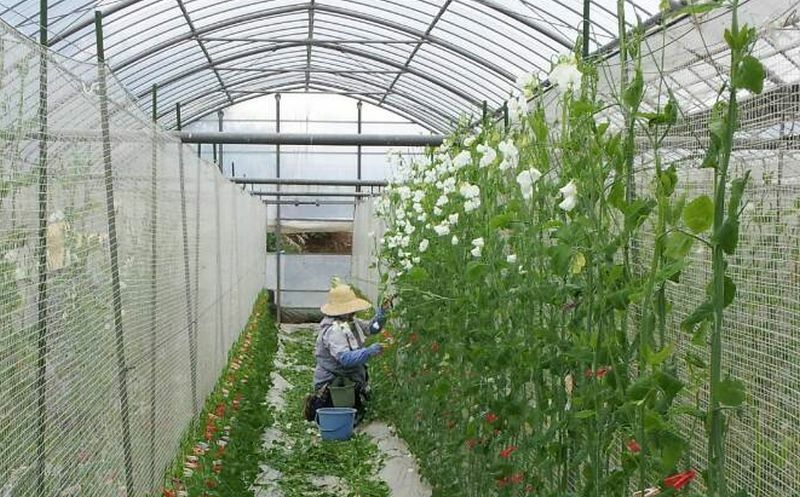 Main stems of Sweet Pea usually grow up to as high as 7 meters and it is hard for growers to take care at the height, when growers use vertical cultivation system. So growers apply the “Tsuru-Oroshi” technique for Sweet Pea. Literally, ”Tsuru” means “vine” and Oroshi means “bending down”. Shoots of Sweet Pea are bended down parallelly using clothespins, and stems become lower enough for growers to take care. 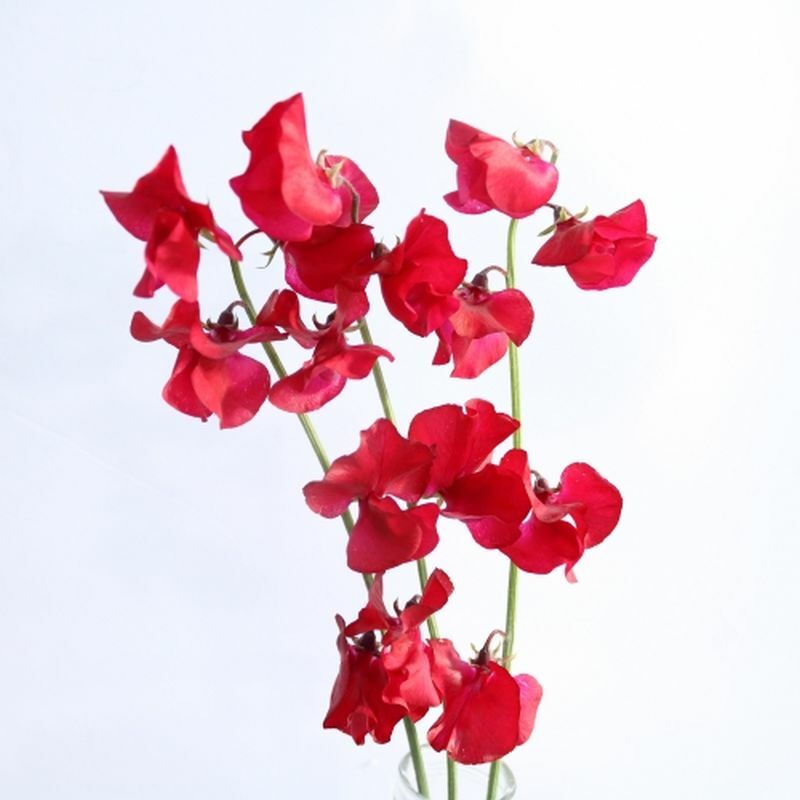 In Japan, they do “Tsuru-Oroshi” by hand, carefully stem by stem, and that leads to high-quality Sweet Pea.